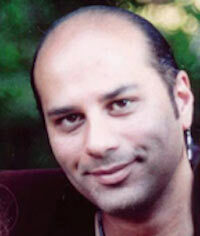 Michael Tsarion was one of the first voices I came across during my initial exposure to the alternative history arena. I cut my teeth on Tsarion’s work on ancient cultures going all the way back to Atlantis and beyond. I have to say Michael Tsarion is one of my favorites, I have listened to a lot of his videos and find most of his persepctive on the nature of reality , very resonate. One of the things Michael brought to the forefront of the awakening experience is that from a certain perspective there is a “War On Consciousness ” going against humanity. The purpose of this war is to keep humanity trapped in the five sense 3d reality that most people believe is all there is to life. Michael Tsarions work is definitely big picture material , you wont find him debating as to why we need to get back to the constitution , or why we need a new form of government. Michael asks the question why do we need a government at all , what is it within the human psyche that requires a “Big Daddy Figure ” as he call it. What has caused this insanity in the mind of man, “there can be no freedom while a single government exists on earth” he says. In this New Video Michael gets into the “Age Of Manipulation” , well that pretty much sums up the current state of the planet through culture. Architects of Control is Michael Tsarion at his best and will give you a great sampling of the perspective of this incredible voice of reason among a world of insanity, be prepare to be awakened ! Another Michael Tsarion Classic is of Course “Origins of Evil” and if this sounds like a “Heavy Subject ” it is , prepare to have your persepctive of reality altered on multiple levels . And of course to understand what is happening today its good to know where we come from and what has happened in the past , and there is no better place to start than in one of the most ancient civilization on earth “Atlantis”. Here Michael describes the “Destruction Of Atlantis” an excellent discussion that may help you in filling in the gaps to humanities alternative history, you wont find this in information in school books anywhere.